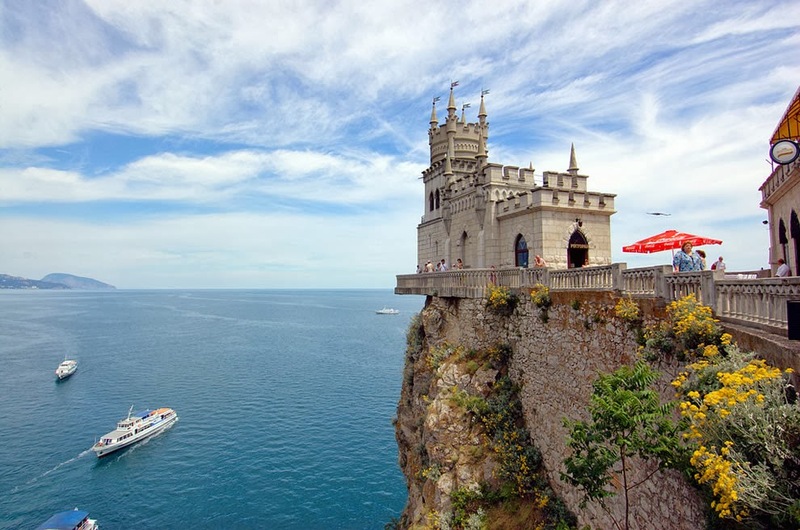 The Swallow’s Nest castle high on the cliff above the beautiful Black Sea has become an icon for Crimea, Ukraine. But the Crimea you hear about now involves the Ukraine crisis. While we hope for a peaceful resolution, Crimea lawmakers voted in favor of leaving Ukraine for Russia, as Russia already has the Black Sea peninsula under its control. In 10 days, citizens of Crimea must choose: Stay in Ukraine or join Russia. The crisis in Ukraine made us remember Gagra, the resort paradise turned to ruins, aka the abandoned Russian Riviera. We became curious about what else does Crimea look like, besides a castle? Here are some of what we found; here are amazing natural wonders in Crimea, gorgeous landscapes and seascapes, places with so many caves that they are known as cave towns, as well an ancient ruins that go back to medieval times.